Beloved children, masters on the way to the unity of hearts! With great love and festivity we return, now to tell you about the inner will, about the identification of that eagerness that brings the heart, with what is in harmony, in harmony with their beings and with the work that Heavenly Father has reserved for them together the creation. In today's physical life, they were routinely trained to make rational choices and to always carefully analyze all the parameters involved before deciding. Their entire educational and social belief system has trained them year after year to make choices that are logical, have justifications, and are in line with what society expects. What they say is the correct path to be pursued and all those paths that put them before external parameters. Faced with this system of values ​​that they have incorporated generation after generation, they have moved away from the voice that sounds the heart, from the universal pulsar. 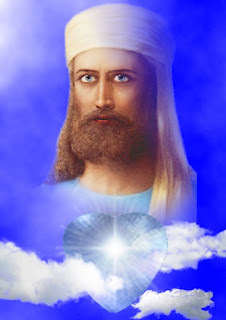 His inner voice became subtle, but he was there to point out to them the path of resonance and the path that brings them happiness because it exposes them to the deeper inner desire, understanding them in the divine flow of perfection. It is a soft, soft, benevolent, loving voice that, against all that they believe, tells them: trust in the father, trust in the magic and in the universe. This is the voice of your being, your spiritual consciousness, which you have been trained hard not to hear. Because of all the training they have had in their homes, in their schools, their friends and all and all who trust and love in this world, they have been taught that this will, that subtle voice is foolish, childish, dreamy, Be removed because it is only an illusion. Few are those who, often against everything and everyone, continued to listen to her, even if they were not allowed to. And do you know who these are, beloved teachers? These are those who call them prosperous, successful in their projects, but who are but souls who have followed their ideals. People who can be found in all fields of theoretical or applied knowledge, be it scientific, spiritual, educational, artistic, technological, construction, work and all other areas that enable their beings to vibrate, resonate, expand in love For everything that is. What causes them to celebrate each awakening and to thank for the blessing that the Father gives them to each asleep. Those who were stubborn, often against the prevailing values, did not stray from their hearts and thus, in a "leap of faith," believed that there was a way they should go by becoming happier, more complete, and more successful in the works they desired To undertake. They wake up every day excited to continue their work, because their life motivates them deeply. There is a latent will in their beings which, fatally, because of the universal law of attraction, leads them to success and happiness, for it resonates with their hearts. This inner voice brings them out of the path of resistance, allowing the beauty of their hearts to radiate to the world. For this, it is enough that they listen to that latent voice that vibrates with the universal pulsar and puts them in harmony with the talent that God gave them in communion to the unity of hearts. Children, beloved, this is the path that the father wants them to travel, the one that makes them full, happy and successful beings. That's what the father reserved for them and that's what they should look for. But do not judge yourself if, by chance, you think that at some point you have stopped seeking the way of the heart. They had to follow the path they followed, just to remember the importance of listening to their spiritual consciousness. They already knew how to do it, but they had to remember that because the system made them forget. But I tell you, there are people who would be terrified if they remembered this, because that is the voice of power and it is indomitable. And if they still judge and think that they have smothered her, understand that there is a social system in their world that never encouraged them and imposed all the difficulties for her to be heard and trained them to put her aside. And they were trained by those they love most, and often do so with their loved ones. How often, masters in their lives felt the way to be trodden, but then came the rational analysis, which they were hard-trained to Follow and deviate from their will because they think it would not be so relevant. Therefore, children, we have seen them remember the importance of being the example of the faith and of distinguishing in their interiors these two wills. A first that requires the so-called "leap of faith" and confidence in the conduct of the heavenly Father, who resonates with his heart. And another that leads them to the traditional one, which is based on external references, that lead them to ask questions such as: how would my brother do it? How would my parents think? How would society come to me if I chose this path? These are the questions they got used to, that they were trained to perform before they decided and that became their prevalent voice, leaving the universal pulsar voice that resonates from their hearts almost imperceptibly. But she's there! Ah, it is! - I assure you! The voice that leads them to the path of the heart, which leads them to self-respect, to self-love, that puts them in perfection and thus leads them to their sovereignty and that will make their souls resound in communion to the will of the father. This voice is you, great heavenly beings, children of the Father, and it will make you recognize yourself as worthy of being happy, full and fulfilled. More than this, this voice will lead you to the path of perfection, of love for your neighbor, will lead you to put yourself in unity of intentions and will allow your brothers to follow the path of the heart. Yes, because as you seek your inner self, your brother's path becomes unimportant, because you fail to seek external references and thus, in the divine flow, you allow those you love to follow their own path. Whenever you do, you will be respecting yourself and realizing that your brother on the road may have his own choice, because, because you have made yours, you have come to understand him. Beloved children, against all the training they have received, we have seen them begged to go the other way and seek their inner self. At first, it will be a shy, timid, frightened voice, but as they give it prevalence and relevance, day after day, it will become haughty, strong, self-confident, and then, without realizing it, they will be radiating their souls to all those who Put in your way. And I say more, nothing is late and everything is possible, as long as they hear that voice. And I warn you: be prepared, because it will take you out of the comfort and security that you have become accustomed to, causing your inner energy to move. 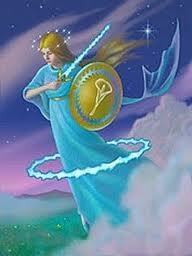 It will lead them to doubt and cleanse all stagnant energy they carry within themselves. But I assure you with all my heart: this voice will never lead you to the path of unhappiness because you are in all essence. 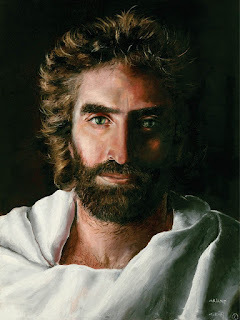 To hear it, therefore, is an act of faith, of courage, of inner strength, of recognizing Heavenly Father as the ruler of the universe, and of placing himself at the service of creation in confidence in his mastery. That's what they came for! When you hear this voice you will be releasing your world because there is no darkness that will resist that inner light. Follow this path blessed by the creator. Let yourself feel the unlimited happiness and abundance that the father reserves for you. Recognize yourself as worthy of this blessing and empower yourself to receive it. It is what I ask of you with all my heart, for I have done so and today I can tell you that I AM THAT I AM, - a being full of love in communion with unity. 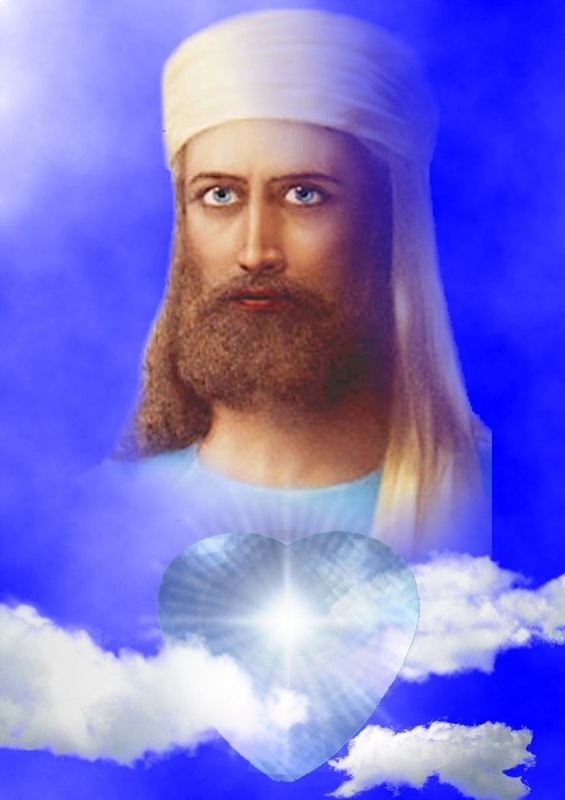 I am El Morya, master of the inner strength and therefore, today I ask you: allow this will to blaze your beings to be full. Have faith in the way of all the kindness your father has for you. I am Astréa and, with great admiration for all that they are, I say goodbye with a heart moved by the love I feel for each and every one of you. Be in peace because you keep God in your hearts, and for this alone nothing can happen to you.